People can now track Santa Claus as he makes his way around the globe, with the North American Aerospace Defense Command [NORAD] and Google both providing online tracking services. The NORAD tracker follows Santa Claus as he leaves the North Pole and delivers presents to children around the world. 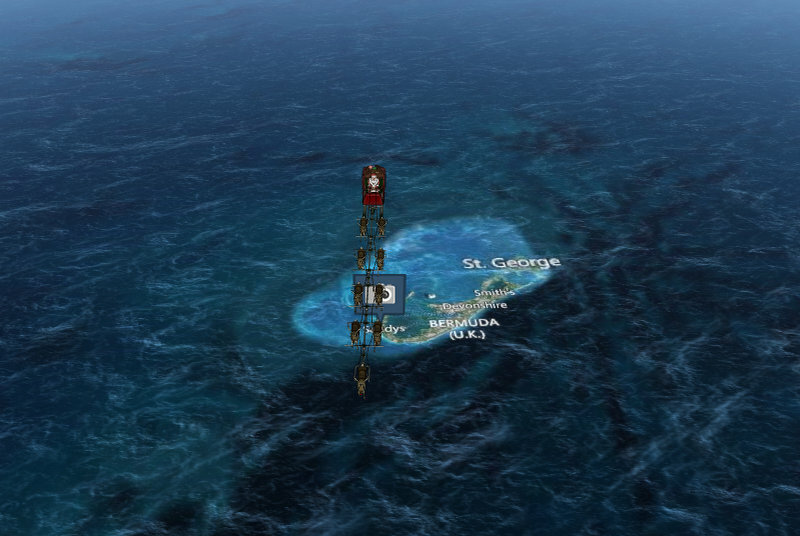 The NORAD tracker caught a glimpse of Santa Claus as he was over Bermuda tonight. Created by a 1958 agreement between Canada and the United States, the North American Aerospace Defense Command [NORAD] is responsible for the aerospace and maritime defense of both countries. The Santa program began in 1955, when a Sears department store placed an advertisement in a newspaper which told children that they could telephone Santa Claus and included a number for them to call, however the phone number printed was incorrect. The calls instead went to the CONAD Air Defense Command Center, and Colonel Harry Shoup told his staff to give all children who called in a “current location” for Santa Claus. A tradition began which continued when NORAD replaced CONAD in 1958. Today, NORAD relies on volunteers to make the program possible and the team typically handles more than 12,000 e-mails and more than 100,000 telephone calls from more than 200 countries and territories.